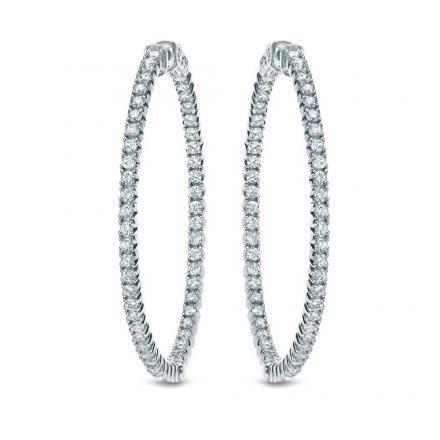 These 14k Gold Diamond Hoop Earrings feature 100 brilliant round-cut diamonds forming a hoop which is ideal for any occasion. 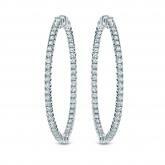 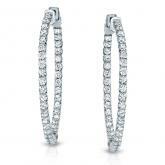 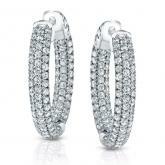 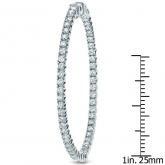 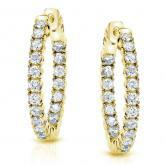 These earrings are crafted in a high polished 14k White Gold securely fasten with clip in clasps. 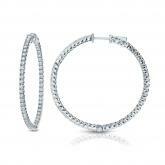 Make the perfect gift for any occasion, or simply as a gift for yourself.